The Mortuary Body Hoist is made for easy handling by a single operator and built to last with it's durable welded and coated plate steel construction and strong electric motor that can handle up to 1000 lbs. The overall dimensions are 50" depth X 86" Height X 32" Width and with it's unique design saves tons of space as it can be folded and stored against the wall. 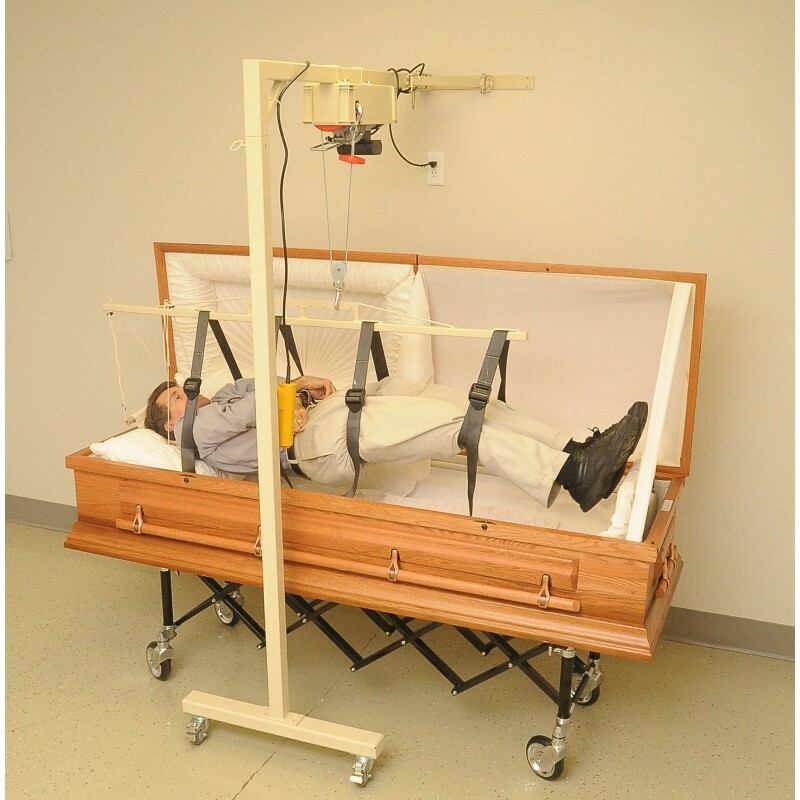 It comes equipped with Four 8' lifting straps with materials similar to a vehicle seat belt. The head support is adjustable, and easily installed. The hoist is controlled by a single hand held controller. The lift is easy to install, with the supplied 32 inch wall bracket to anchor into existing wall studs. Minimal assembly is required. The company must have less than 30 employees or revenues less than $1 million dollars per year. 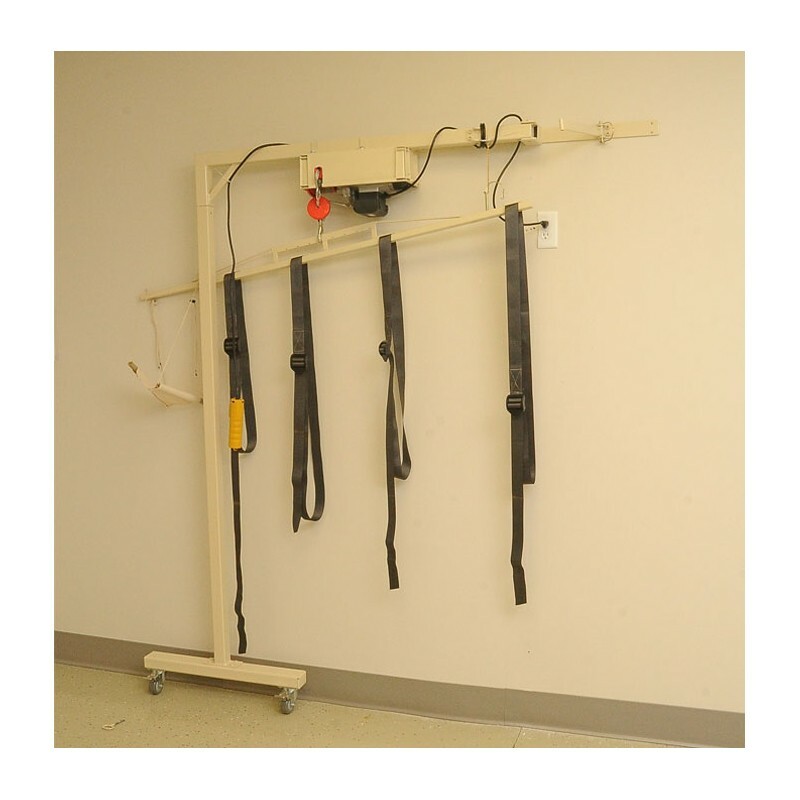 The lift installed at an existing facility. The company must have an employee with an injury history that prevents them from lifting. * Please contact your accountant for forms and details.